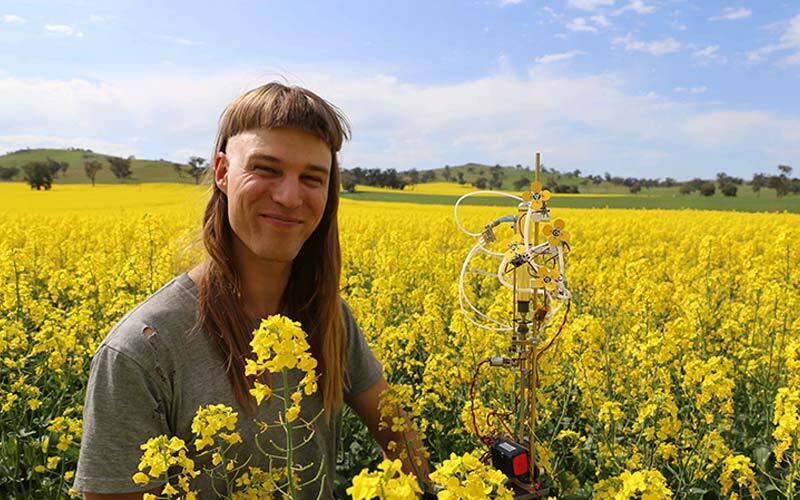 Michael Candy is an Australian artist who has developed an innovative idea to save the declining bee population. 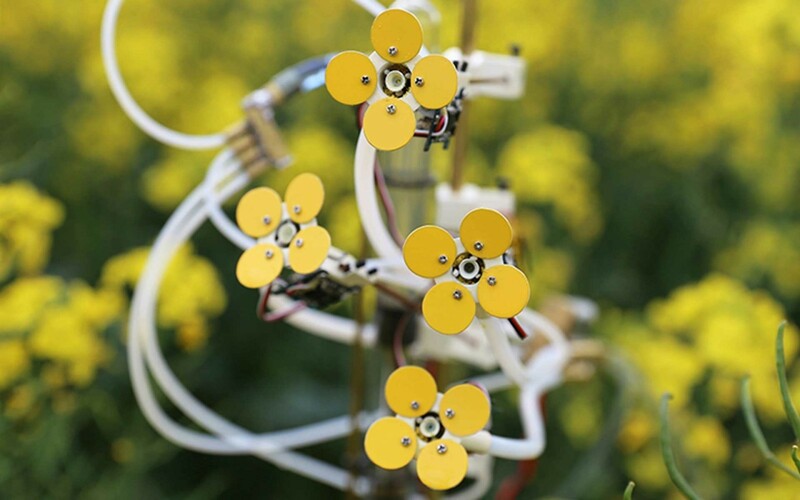 Named Synthetic Polleniser his concept is based on 3D printed robotic flowers and artificial pollination to encourage bees to forage. Between the effects of pesticides, climate change and the presence of invasive species, bees are finding it increasingly difficult to survive around the globe. Fortunately, certain organisations and other individual initiatives are being developed to protect these insects, which are so important for the environment. They play a crucial role in the pollination of plants, without which they cannot reproduce. 80% of today’s plant species depend on pollination; the protection of bees is therefore a major issue for our ecosystem. Armor 3D wanted to find out more. The initiative of the artist Michael Candy is based on additive manufacturing. He printed robotic flowers in 3D to which he then added nectar and pollen. These artificial flowers were produced to be placed in the middle of real plants in order to attract bees and make them forage. 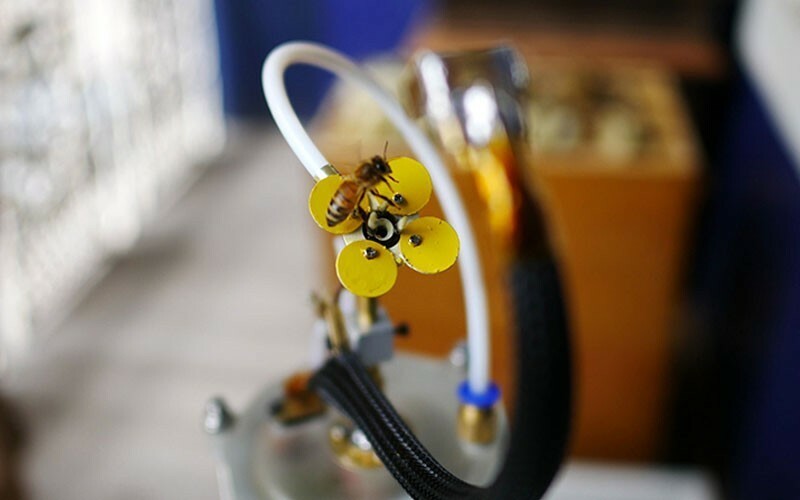 “Bees are a vital element in our ecosystem; I think that the whole world should take the time to find out more about these little workers that keep our plants and flowers pollinated”, explains the artist..
3D printed flowers could even incorporate an artificial stamen (the flower’s reproductive organ) and petals inspired by rapeseed in order to attract the bees. Nectar is fed up to the surface of the 3D printed flower by a series of motors and tubes. 3D technologies enabled Michael to create the perfect form quickly and at low cost. They also make it possible to adapt the flower to the environment selected for planting, with each petal able to be customised. If you have a project like Michael Candy’s, don’t hesitate to contact our sales team, which will be able to guide you through the various stages of 3D printing!